Benadryl Allergy One-a-day Tablets provide relief from symptoms related to hay fever, dust allergies, pet allergies and skin allergies. For effective relief against symptoms like: an itchy, runny nose, sneezing, itchy, watery eyes and an itchy skin rash. 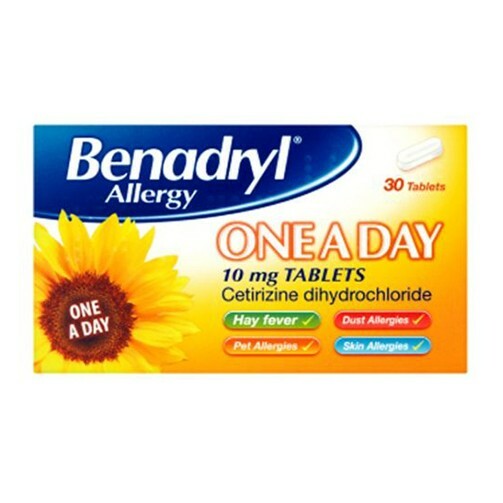 Take Benadryl Allergy One-a-day Tablets to leave you free to carry on with your day without any pesky allergy symptoms.